We must maintain a proper focus on God during times of discouragement and weariness as we serve the Lord. Our focus this week is on honestly dealing with discouragement and doubts that we experience as we serve the Lord. 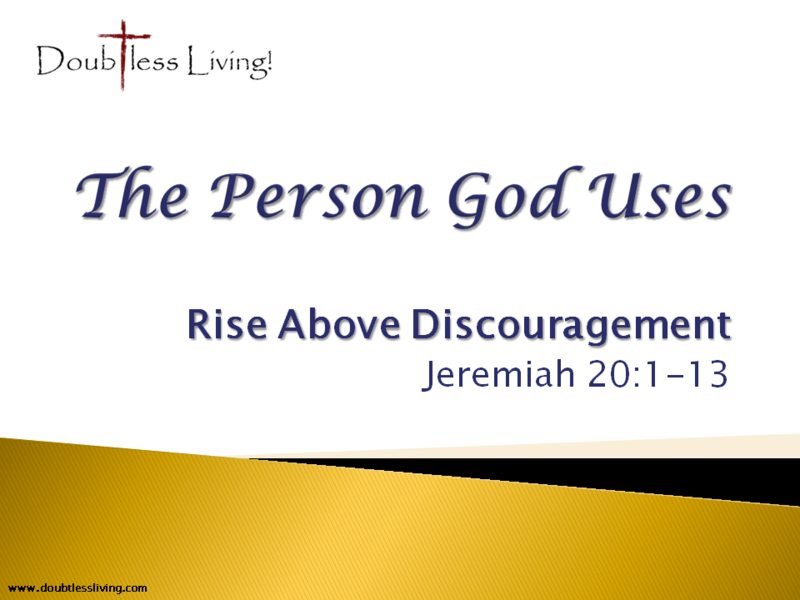 The prophet Jeremiah experienced major discouragement and setbacks in his ministry. Sometimes we may wonder how Jeremiah got away with saying what he said to God without being struck by lightning! But at the end of this lesson, we are going to see how Jeremiah remembered “Who” was in control of his life and circumstances.